For this pattern, I decided that for the first time ever, I would follow the construction instructions at all times. I learned to sew from my mum, who in turn, was taught by her mum. We’ve always followed the “lay the pieces together in a vaguely sensible way, and stitch where necessary” school of sewing. This occasionally leads to tricky parts, where it would have been much easier to sew seam A before seam B, or you know, that “oh pants, I shouldn’t have cut that until after I’d done this bit” moment. So, to sew according to the instructions is something of a novelty for me. 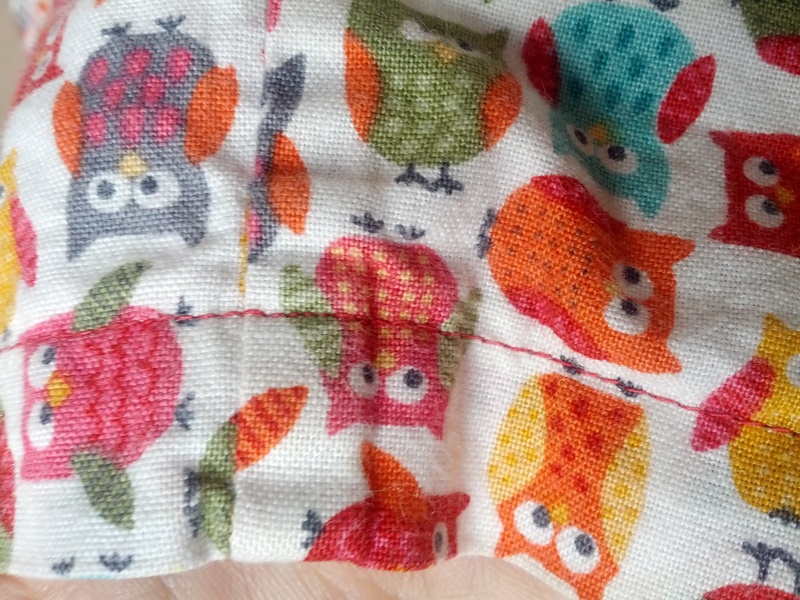 With this pattern I used cotton something or other from The Henley Studio at Makower UK, and as it was a remnant on the bolt, I also bought some plain cream cotton, thinking that I could use it for part of either the pyjama top or bottoms. 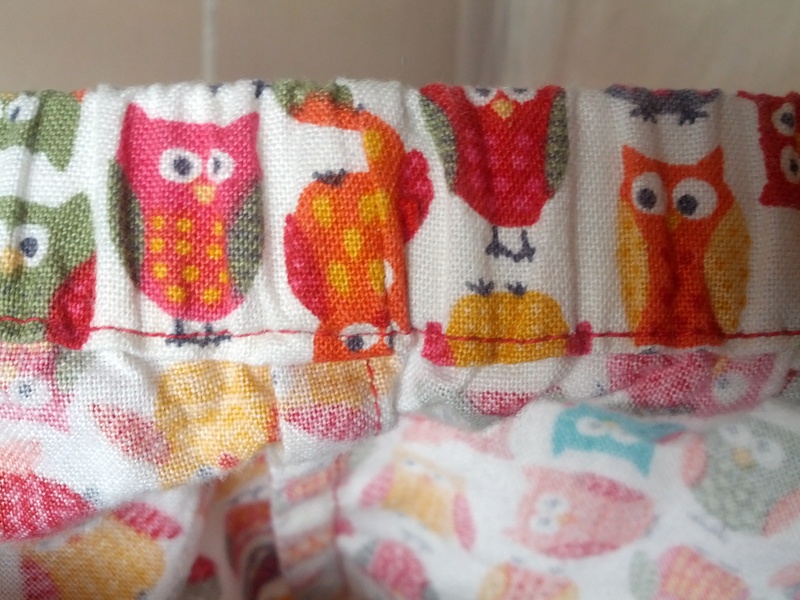 I bought the material from John Lewis, thinking it was slightly too heavy for pyjamas, but the owls, oh the owls! My little girl would love them, surely she would! Well, now she loves them, but when she saw them, she did ask why I didn’t buy pink material with fairies on it. Oh well, we live and learn. Incidentally, I didn’t buy pink fairy material, because I’ve got quite enough pink in my life, thank you very much. Even knowing that the material was quite heavy enough, I decided to try French seams for all the straight seams. I haven’t used French seams before, in fact I’m not sure I even knew they existed until about a year ago. This was maybe a mistake, as it lead to a lot of grading (cutting away the extra bulk) where the French seams intersected another seam. 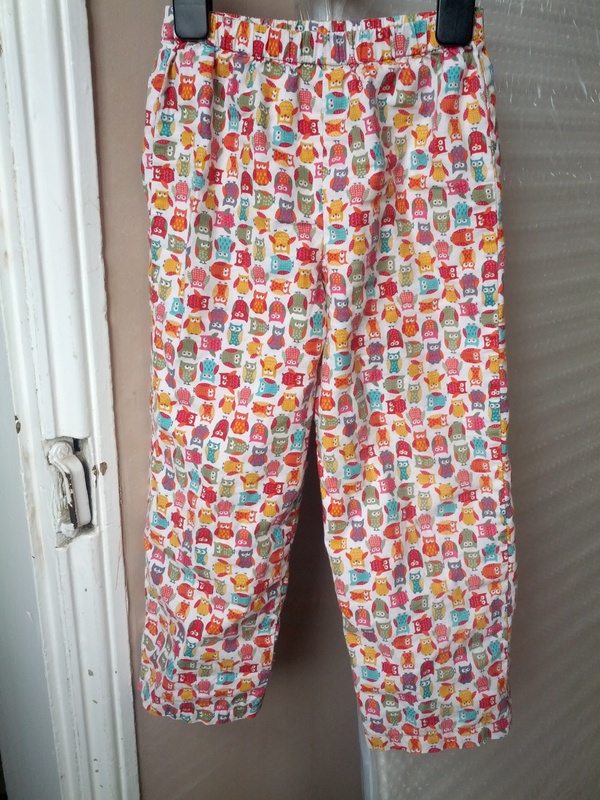 Despite this, the pyjama bottoms came together fantastically well. I decided that as my daughter is growing, I wouldn’t attempt a shortening of the pattern, and just made a straightforward age 4. The rest of the measurements compared with the age 4 size, just her height was out. I have, however, learned that although she’s short all over, most of the difference in height is in her legs. She’s got a long back but short legs. So the age 4 top fits well, but the trousers have plenty of room for, erm, well, growth . 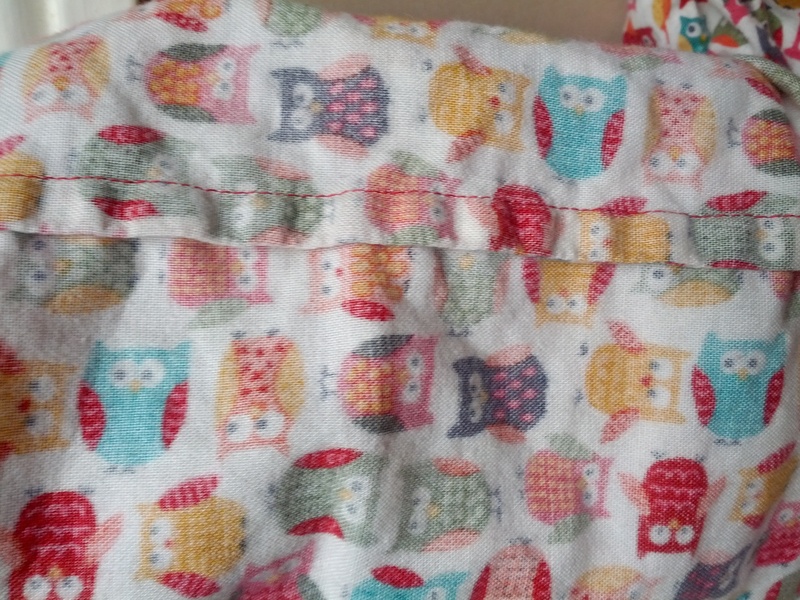 As my daughter is only five, and these pyjama bottoms don’t have an obvious front and back she spent the first couple of months wearing these interchangeably back to front and the right way round. 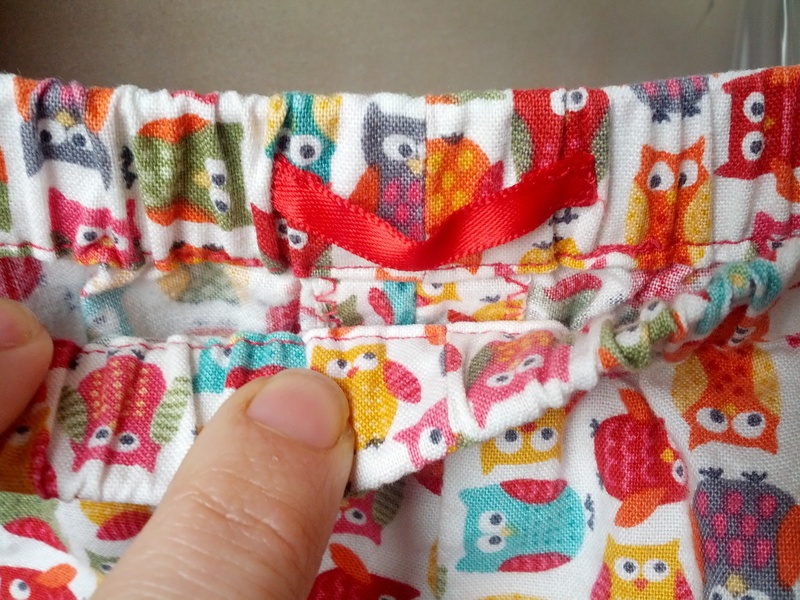 Following the advice of several bloggers, and both my mum and mother-in-law, I added a small tag of ribbon to imitate the label in ready to wear clothing so that she can tell the front from the back. 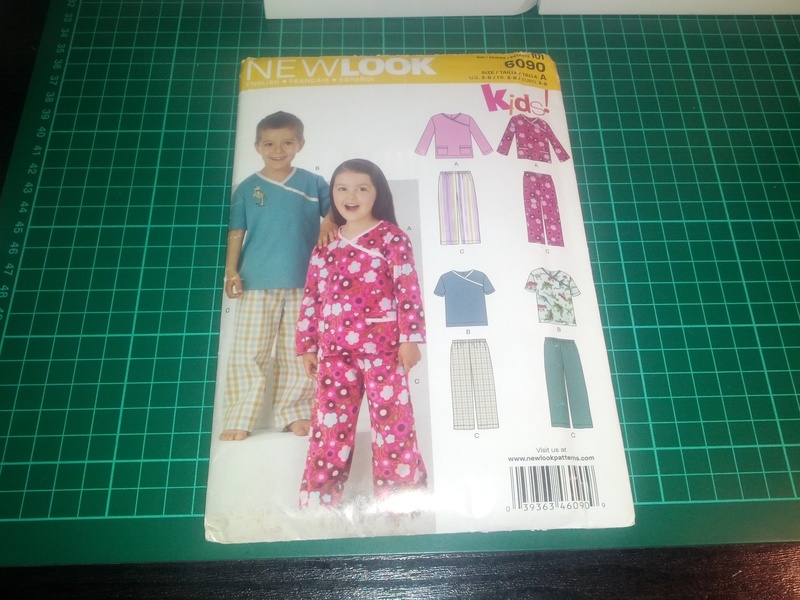 These have been worn and worn and, dear reader, not only have they been worn, but they were also chosen as the pyjamas of choice to wear to school on World Book Day. Now that was a moment to treasure!